AHHHH!!! It's the Moon Hunter!!! Run Away!!! And Lo, the beast approaches. The Moon Hunter has spent countless eons buried deep in the lunar regolith, a remnant from ancient lunar empires that have since fallen into dust and myth. But with the dawning of the Cosmic Era, and the explorations of mankind into inter-dimensional technologies and forgotten sorceries now unlocked by the cold eye of science the beast stirred. As the first Arc Reactor sprung to brilliant life, the Hunter started flexing claws and wings unused for unnumbered centuries. When the Cascade Dimensional engine purred to life in Kiev the beast opened it's eyes. Quakes shook the moon as the Hunter tore itself free of it's forgotten vault. It spread it's wings, catching the solar winds to sail away from the freshly cratered surface of the moon. It's destination was simple, the throbbing pulsing beacon that hammered in time with it's own colossal heart. The Moon Hunter is an anciet dragon that was buried on the surface of Luna during the time of the Beryllian Lunar Dynasty after that dynasty used the Hunter to decimate the nations of Mars and Earth. The dragon is nearly 300 feet long, from the point of it's angular snout to the end of it's lash like tail. 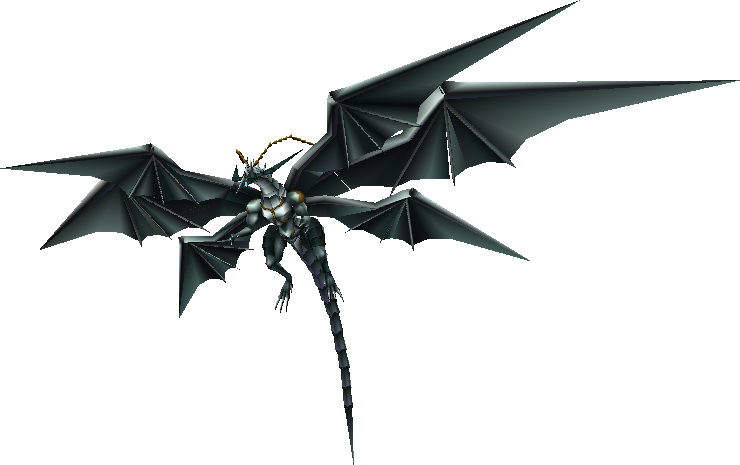 Unlike the typical occidental dragon, the Moon Hunter has three pairs of wings instead of one. These wings are part solar sail allowing it to cross the vaccuum of space and part solar collector, charging it's immense solar batteries. It has a hard almost metallic hide that has a matte silver finish, though it's claws and teeth are chrome like in patina. The Moon Hunter was spotted approached Earth, and the Near Earth Fleet of the Atlantic Federation responded before knowing where the beast was heading. The stellar dragon did not respond to any sort of electronic communications system, or visual communications attempts. The AFS Hermes approached too close to the beast, where the great star dragon opened it's mouth and produced a beam of coherent blue brilliance that caused horrific damage to the Hermes. A probe identified the beam as a high energy discharge that had a high gamma radiation content. The fleet moved out to stand-off range and fired missiles and beam cannons at the Moon Hunter. The dragon shrugged off the smaller missiles, dodged the larger ones and it's hide seemed simply turn away the energy blasts. The Federation battle cruiser Resplenent moved to close range to engage the dragon with it's rail cannons but the beast proved fast and agile and grapped with the ship. Unable to fire its weapons against the dragon, the beast quickly dismembered the warship with it's teeth and claws. Less than 100 of it's 3,000 man crew survived to escape in the life pods. Ships that didn't attack the dragon were ignored, while those that illuminated it with anything brighter than navigational radar were summarily attacked. The Moon Hunter's primary weapon is a high energy particle beam it discharges from it's mouth. The dragon can adjust the width and shape of the blast, going from a widely spread short range attack (useful for destroying pesky aerospace fighters) to a long range concentrated beam that can punch through heavy naval grade armor. It's claws and teeth are sharp and strong, and can split and peel armor plate, though thicker armor takes time and the dragon has to find just the right place to dig in. Light naval armor, such as on destroyers it can easily puncture and rip chunks out of. The Moon Hunter ignored Federation airspace as it plotted a trajectory that took it over Europe and into western Russia. The Dragon weathered a storm of anti-ship and anti-aircraft fire as it descended towards the Kiev High Energy and Dimensional Physics Laboratories. The Hunter landed roughly two miles from the lab and was quickly engaged by the Neo-Soviet military. The dragon roared and was mired in close combat with the military for almost an hour. While the cannon shells from the super heavy tanks and artillery did little to harm the beast, it was still affected by the weight of the impacts and the power of the blasts even if they just slowed it down. The beast refrained from using it's beam attack until it encountered the Red Army 5th Divisions Stalin III super heavy tanks. Armed with twin heavy rail cannons and firing at close range, the tanks caused the beast injury. In responce, the dragon proved it's breath weapon was just as effective in an atmosphere as out of it. Many of the tanks were destroyed and the 5th armor division would be later disbanded due to combat losses. During the era of the Beryllian Empire, the Beryllian space elves were largely a peaceful species. They had cordial relations with the natives of Earth and of Mars and open if somewhat strained relations with the natives of the Jovian system. Eventually the Martians became militant, building interplanetary warships and three legged mecha. The Martians declared war on the Minervans and the Earthlings, but the Beryllians stayed out of the fighting and instead attempted to broker a peace agreement. This lasted until after several victories from the Minervans the Martians used a powerful secret weapon they had been developing. By exploiting inter-dimensional fatigue, they created a bomb that would destroy a planet. Minerva was destroyed in a dimensional cascade explosion that sent debris hurtling across the solar system. Saturn accumulated much as it's new rings while the gravity of Jupiter stabilized most of the debris in a belt around the sun. The Beryllians decided that with such power the Martians could destroy the solar system. They started work on their own secret weapon project, and in the end they used the cumulative intelligence and skill, magical power and wisdom to create the Moon Hunter. The beast was armored and sent to Mars with a small flotilla of Beryllian warships. Much of the flotilla was lost to the Martian fleet, but the Dragon made it's way through and sought out the weapons center. It's very being was drawn to sources of dimensional energy, the sort that powered the Martian bomb. It rampaged and destroyed the launch facility and a good portion of the Martian military that attacked it. It's hide was specially grown to repel the Martian's energy blasters, and it's breath attack was able to kill them easily, as they were vulnerable to gamma radiation. In a desperate move, they detonated a variant of their planet buster bomb to destroy the Moon Hunter. The Dragon was wounded greatly by the force of the blast, but Mars was more greviously wounded. It's atmosphere was blasted away, and the famous Martians monsoons never came again. The planet dried out, and in less than a year it was unihabitable. Billions of Martians died from their own super weapon. This might have been the end of the story, but the Martian fleet remained. The fleet attacked the Moon with every weapon in it's arsenal. The fleet possessed a second anti-planetary weapon and detonated it above the surface of the Moon. The blast was terrible, and the Moon was left airless and barren. The rainbow colored gardens were evaporated and millions of Beryllians died instantly. The Moon Hunter returned home and destroyed the remnants of the Martian Fleet and with nothing left of it's masters or it's foes, it buried itself in the Lunar soil to heal. Damage in Kiev is totalled near 96% with the Space Dragon destroying the entire core of the city and annihilating the Kiev High Energy Labs. Once the labs were destroyed the beast waded clear of the debris and launched itself back into space. There wasa brief clash where Eurasian space assets attacked the Dragon, but their attacks were largely ignored. The Dragon did pause long enough to blast the EAS Putin heavy carrier with it's breath cannon, the ship was heavily damaged but was later towed to a space dock where it was eventually repaired. The Dragon returned to an unknown location on the dark side of the moon where it presumably reburied itself in the lunar rock. The Atlantic Federation outpost and spacebase at Janssen Crater began scan and survey missions to find the location of the Dragon, but only used visual scans and laser detectors rather than running the chance of waking the dragon with a high energy emission scan. It is only a matter of time before the Dragon's den is found. Next time when I'm in chat with Moon.. I mentioned this to him in chat last time, I'm surprised that he hasn't came to comment/vote on this yet! Moon, where are you!? Space isn't really my theme but the writing adds wonders to the content. I especially like how the itallics break up the sub and make it easy on the eyes. Well done! Of the quest submissions, this is probably the most Godzilla-like both in form and behaviour. Sounds like it has the force to single-handedly keep humananity out of the galactic stage, by destroying any high-energy engine that has the potential for interstellar travel. Unless this beast is somehow defeated or misdirected, that is. I wonder if it would mobilize to repel an alien invasion force . . . I especially like the idea of Mars, the Moon and Minerva (the asteroid belt) having been verdant and alive, once. I can only echo what Dossta said because he said it well. And add an "awesome!" I'm sad that I missed this quest. I like the setting much more than the monster itself.